The Thompson CSF TRC-180x Receiving System was called the R10 in South Africa -- R10D was the Air Force model and the R10E the Navy model. 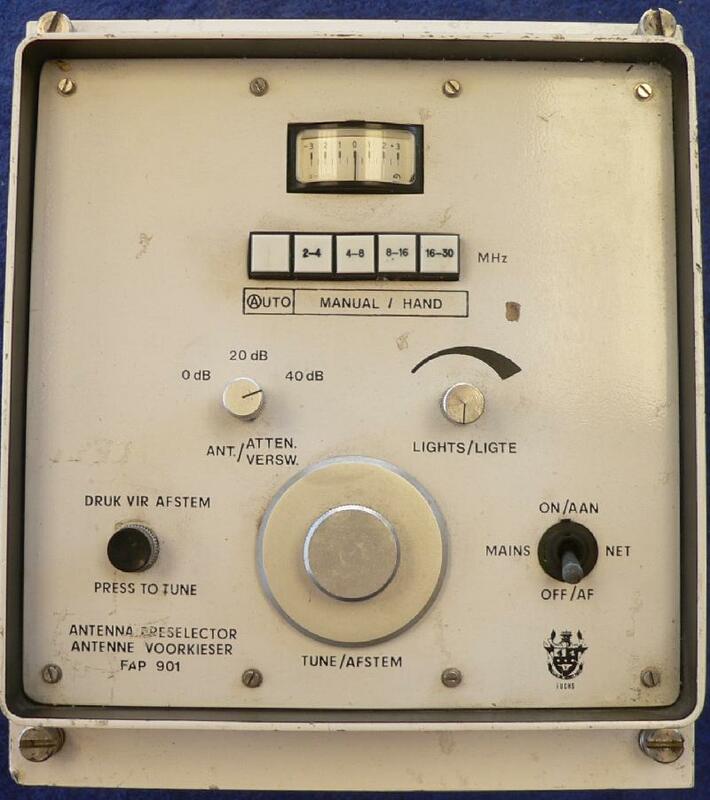 The Navy model included the TRC1806A / FAP-901 Antenna Preselector, which I have been told is a local adaption of the Thomson CSF PA-580. I managed to borrow what I've been told is "the only set" of manuals for this system and scanned them. 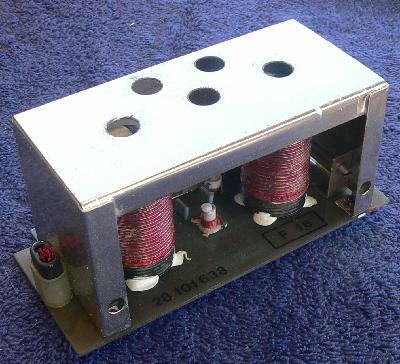 Coverage is 2MHz - 30MHz in four bands. Opening the right-hand side shows four modules with coil assemblies, four modules with some electronics, and a power supply unit. Opening the left-hand side reveals four more coil assembly / electronic modules, and six PCB's worth of digital electronics. 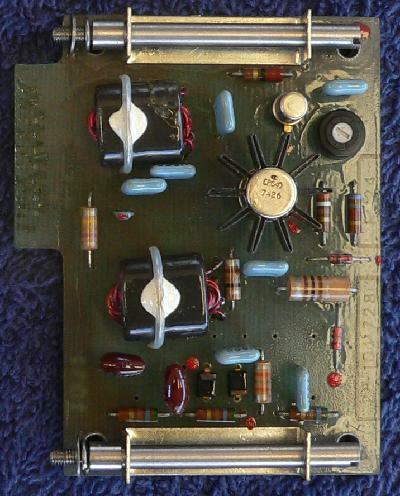 The first PCB is a voltage regulator, the second looks a bit RF-ey, the rest are just CMOS logic. The bottom view is rather boring. 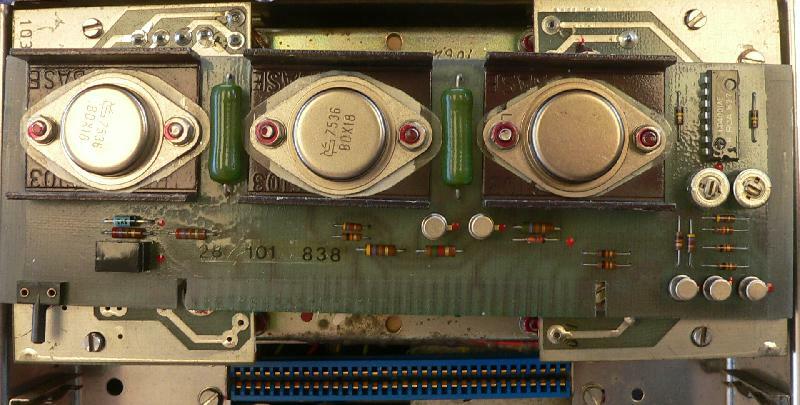 The two rectangular tins contain variable capacitors. 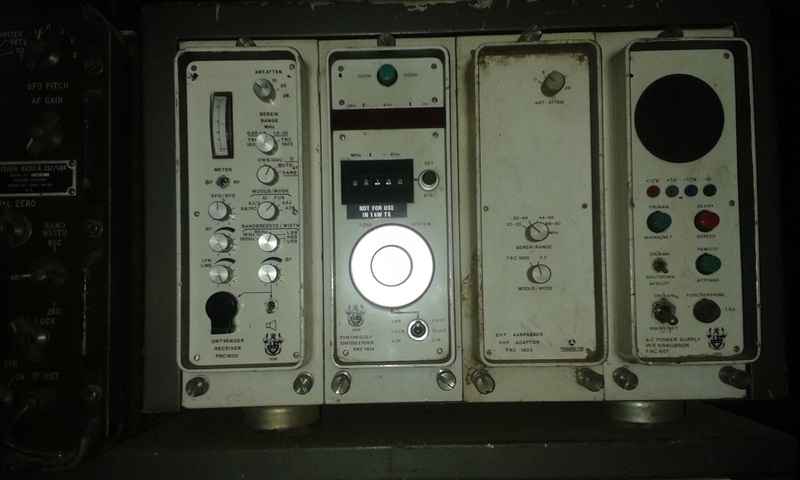 Note the rotary encoder on the left which is connected to the large knob on the front. 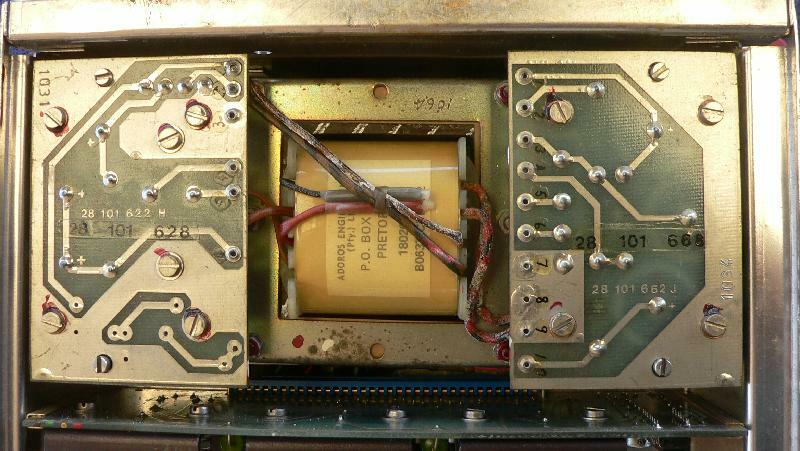 On the far right there's a pot which is ganged to the capacitors for feedback. 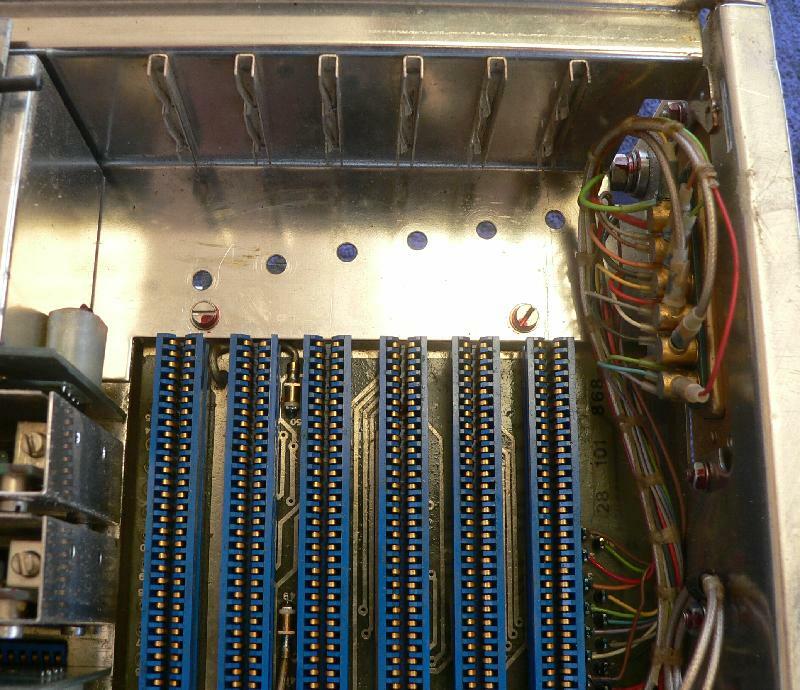 On top there's a large stepper motor which drives the variable capacitors via a gear assembly. 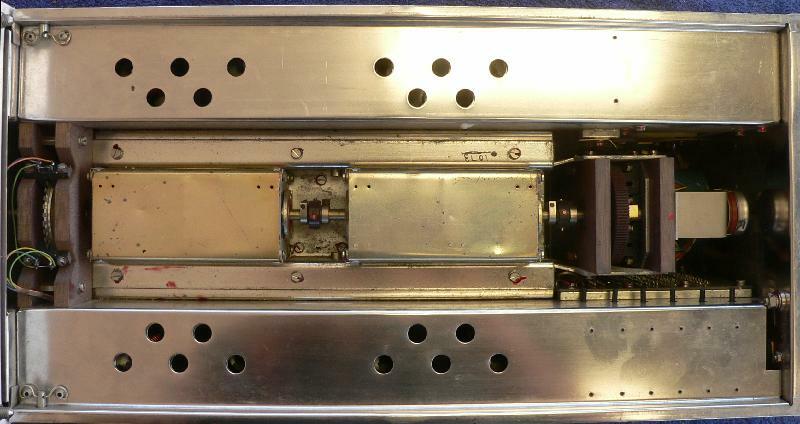 There's also a smaller motor connected to four banks of switches. 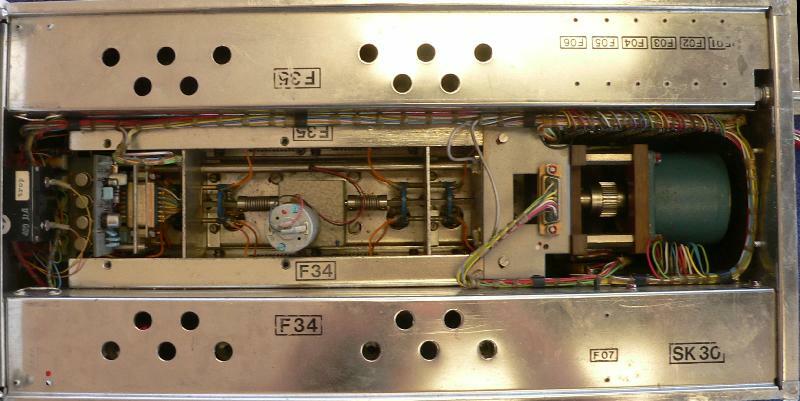 And that concludes our virtual tour of the Fuchs FAP-901 Automatic Antenna Preselector / Antenne Voorkieser. 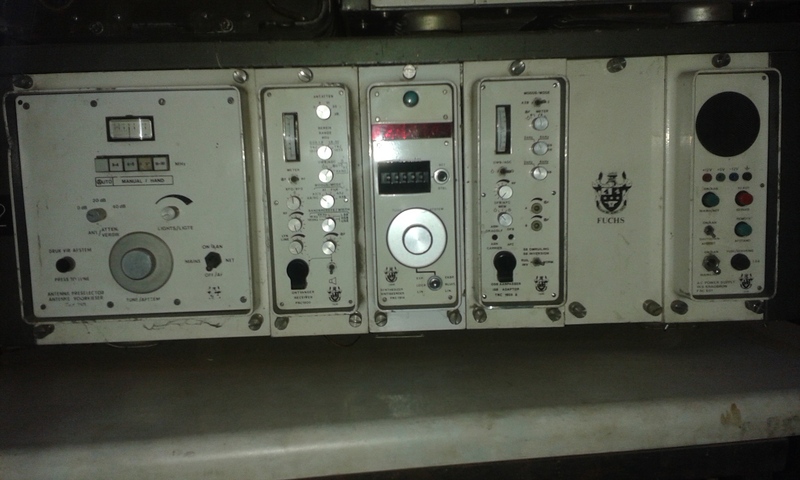 If you know more about these units, please let me know.